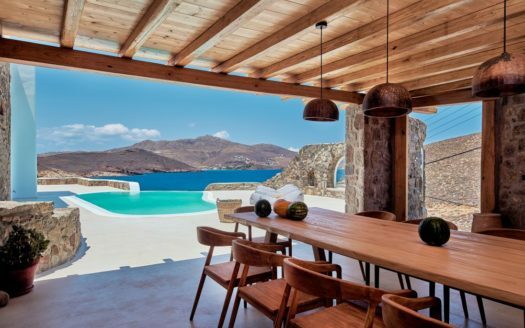 Wonderful 250m2 single residence of modern Aegean architecture is available for rent in Pouli of Mykonos. Raised on two levels, the house includes two bedrooms, two bathrooms, a loft with two single beds . 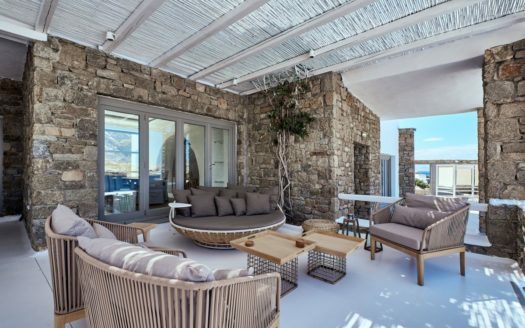 The house can accommodate six people.Extra amenities include air conditioning, barbecue, fully equipped kitchen with a dish washer, a garden, pergola, and an outdoor pool. 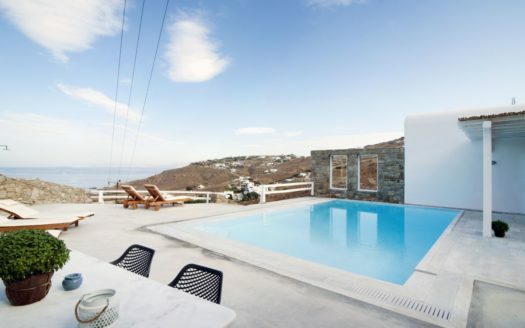 In close proximity to the sea and with a wonderful view of the sea and the sunset, this residence is a perfect choice for your summer vacation.